SunTrust is one of the country’s leading banking institutions, with more than 1600 retail branches throughout the Southwest. With headquarters in Atlanta, SunTrust provides a full range of financial services for customers in Florida, Georgia, Maryland, South Carolina, North Carolina, Tennessee, West Virginia and the District of Columbia. One of SunTrust’s most popular services is their full line of education loans for college students. These loans are some of the most competitive and affordable loans currently available currently available to students looking to finance their college education. SunTrust is dedicated to helping college students find the financial resources they need to fund their education, and their services go beyond simply offering education loans. At SunTrust, students will find a variety of valuable tools to help them prepare for their financial future, including tips on planning for college, a tuition guide, and an education budget calculator. In addition to student loans and college planning services, SunTrust also sponsors the annual Off to College Scholarship Sweepstakes . This is, in essence, a scholarship lottery which is open to all graduating high school seniors and currently enrolled college undergraduates. All college-bound students may enter the sweepstakes, regardless of GPA or course of study, and applicants do not have to be SunTrust customers to participate. Fifteen $1000 scholarships are awarded each year. SunTrust offers education loans for both undergraduate and graduate students currently enrolled, or preparing to enroll, in an accredited college or university. Like all private lender loans, eligibility is determined by credit history. This can present a challenge for those college-bound students with little, or no, credit history to speak of. Fortunately, SunTrust offers a cosigner option on most of their student loans. This allows students with a questionable credit history to engage a cosigner, usually a parent or guardian with good credit, to act as a guarantor of the loan. In this way students can qualify for the education loan they need, while building a solid credit history that will serve them well in the future. Most of SunTrust’s student loans also offer a cosigner release option that allows students to assume full responsibility for their loan once they have made a predetermined succession of timely payments. The SunTrust Custom Choice Loan – The SunTrust Custom Choice Loan is available to both undergraduate and graduate students enrolled at least half-time at an approved college or university in the United States. Students may borrow up to the full cost of their college tuition, less any financial aid already received. The Custom Choice Loan offers a number of repayment plans, including immediate repayment, interest only repayment, partial interest repayment, and full deferment. Interest rates are fixed according to the amount of the loan, and the payment option chosen by the borrower. Students who qualify for a Custom Choice Loan may be eligible to receive a 1% reduction of their principle as a reward for graduation. The SunTrust Graduate Business School Loan – This loan is only available to qualified students who are enrolled at least half-time in graduate level courses at an approved business school. Students may borrow up to the full cost of their tuition, less any financial aid already received. The annual maximum loan allowance is $85,000, with an aggregate loan limit of $175,000. Standard repayment options apply, and interest rates are fixed according to loan amount and choice of repayment plan. Borrowers may qualify for a 0.50% rate reduction if they opt for e-billing and automatic payments, and a further 0.25% rate reduction is available to borrowers making payment from a SunTrust account. The SunTrust Graduate Business Loan is not available to students in Illinois, Iowa or Wisconsin. SunTrust’s Private Student Loan Consolidation – SunTrust offers loan consolidation for students with multiple outstanding education loans. The program allows students to consolidate multiple private lender loans into one, more manageable, loan package. Borrowers may consolidate any, or all, private lender loans regardless of lender, although all Federal loans are excluded. To be eligible, applicants must have earned a bachelor’s degree or better at an approved college or university, and must meet the banks debt to income requirements. SunTrust’s consolidation loans offer low, fixed or variable, interest rates, as well as a number of flexible repayment options. The maximum allowed education debt is $150,000 with proof of a bachelor’s degree, and $250,000 with proof of a graduate degree. 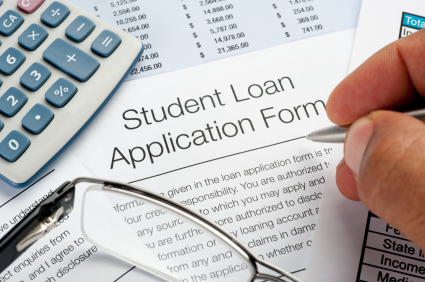 Private lender loans play a vital role in helping students finance their college education. That being said, students should consider private lender loans carefully. Only consider a private lender loan when all other financial aid opportunities have been exhausted, and then, only borrow what is necessary to cover any unmet need. Before agreeing to any private lender loan, students should be certain that they understand all of their rights and responsibilities as a borrower, and that they have a plan in place to fully repay their education loans. Private lender loans can be a key component of any student’s college financial plan, and SunTrust offers some of the most attractive and competitive student loans on the market, but students are advised to fully research any loan package before signing on the dotted line.